Gas fires are modern classics that can be found in both traditional and modern homes. Browse our entire new line of products that includes Inset, Outset, No Chimney, hole in the wall and electric fireplaces. 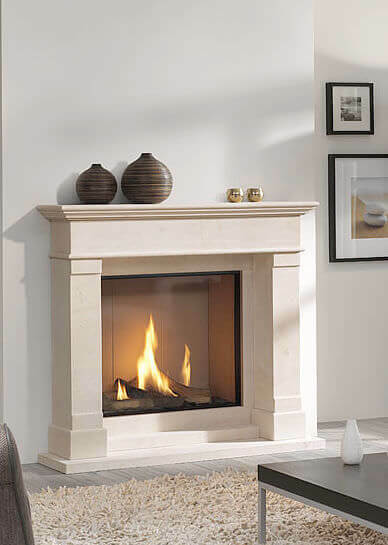 We offer a full range in this category that features minimalist design fireplaces, which comes with unique surround. Gas fires can save energy and warm up an entire room. Most of the outset options at our online-store comes with opti-flame effect and are supplied with pebbles and real coal. 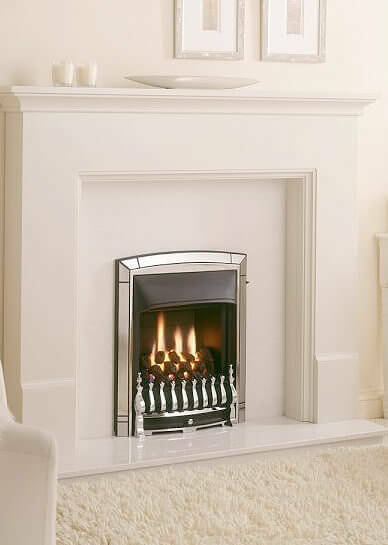 We also supply Inset fireplace, which are thermostatically controlled and will enhance your home like crown jewels. We offer these in various finishes such as Brass, Silver, Gold, Black and Stainless Steel. Electric Fireplace at our store is supplied with log effect and real coal. Click on each product to know more about their features and specification. Please do not hesitate to take the time to contact one of our trained representatives. We will be pleased to answer any questions that you may have as well as to explain your options. If you are still confused, read our Buying Guide on Gas fires.